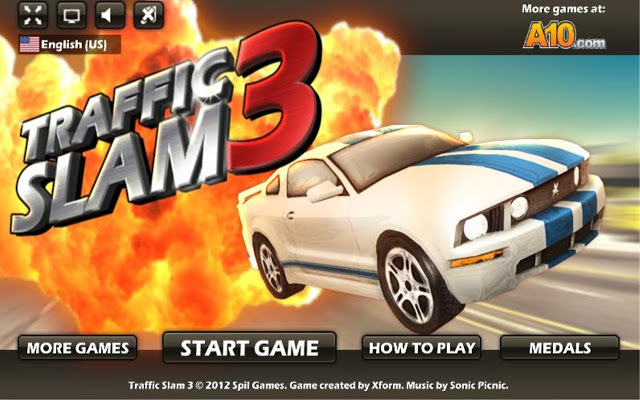 With the sound of explosion comes the new sequel Traffic Slam 3 as the name says it all, from slamming to bursting into flame everything is back with more intense and more entertainment than ever before. 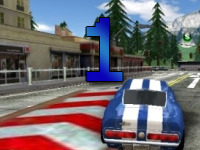 The game Traffic Slam 3 provides the player with an action packed driving game with lots of annihilation and brand new feature. From blowing a tall building to trampling over small barricade and doing crazy stunt in the game. 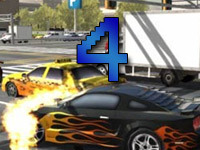 Like the previous chapter of Traffic Slam 3, thissequel brings all the old action and variety of new thrilling feature into the table. 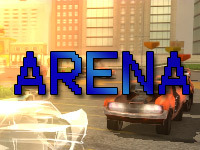 Various features has been added to help players cause more destruction and mayhem than ever before. A brand new shop has been added for the players purchase different type of items and upgrades. From an ordinary car to even a jumbo jet airplane, the shopalso sells variety of paint job to change the appearance. 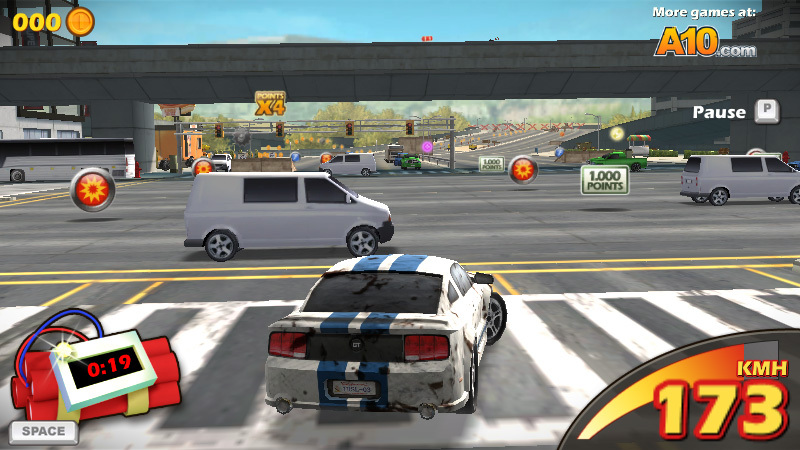 Each paint job has aunique ability to make your car more durable while some helps you to do better stunts. The shop also supplies upgrade for each of the many gadgets which are very useful in the game. 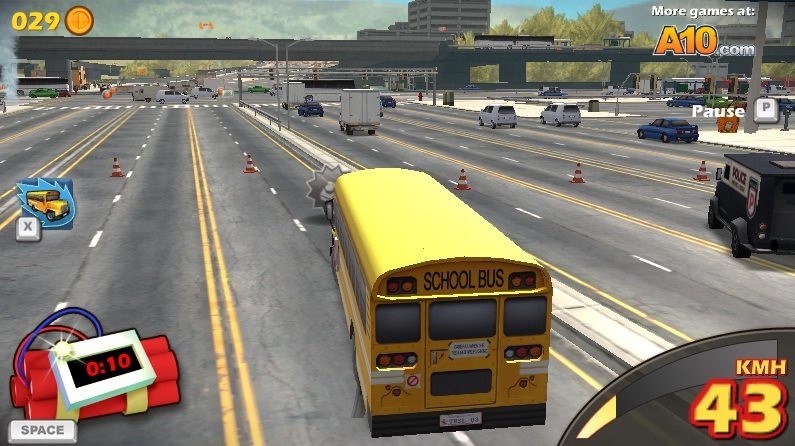 Completing mission 1 unlocks a school bus for use. The school bus is very durable than the basic car and also it has the ability to dash which makes the bus increase its speed for a few second and ram everything along its path. The game has upgraded the quality of the graphics and the overall appearance is more fantastic than the previous games. 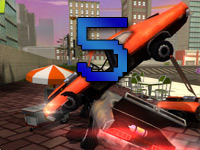 With great quality explosions the game looks more vivid, remote detonators, which helps you to destroy giant building and police barricades, the explosion triggers a slow motion that gives a similar feeling of being in a movie. The remote detonator has a huge impact in obtaining the score as well. 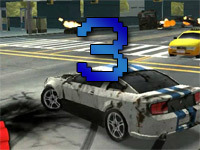 In this sequel the car is rigged with 30 second time bomb, but you can increase the 30 second timer up to 3minute. To increase the chance of survival you have to collect the hourglass which boost the timer drastically and the hourglass can be upgraded from the shop to achieve more time. 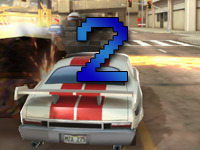 The score system that was implemented on previous sequel remains quite intact but it provides an achievement feature and depending on the scores earned you will be rated with stars.